Born in Columbus, Ohio, Eriech is a 1st generation descendant of parents from Hungary and Germany. His father instilled in him a very strong work ethic teaching him the brick & block masonry trade at an early age of 8 years old. Eriech worked on the job sites with his father from childhood through college learning and watching the construction process. Eriech found it rewarding to see the finished product and eventually the "love" of construction led him to start his own building / developing company. Eriech attended Capital University graduating with a BS in accounting and upon graduation obtained his CPA certification. He then attended Xavier University completing his Masters in Finance. This strong combination of a construction and finance background has allowed Eriech to create communities that are thriving and beautiful. He takes great pride in building inviting communities with well constructed homes which are affordable and clients can call "Home". Eriech resides in Licking County with his wife and two children. He is active in the community and church. He serves on several of the Newark Rotary committees and is a Board Member of the Buckeye Valley BIA. In his free time he enjoys boating, golfing and spending time with his family. From Bellefontaine, Ohio, Chad attended Ohio Wesleyan University where he obtained a BA in History and minor in Economics. While attending OWU, Chad was recruited by the Southwestern Company to sell books door to door during the summer for 3 years. Through this experience, Chad learned the principles of commitment, dedication and customer serviceare the foundations to any successful business. 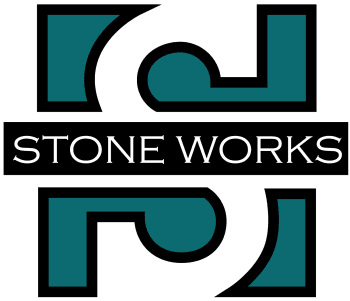 Chad has been with Stone Works since it was founded and he continues to utilize these same principles and knows that careful listening and teamwork create the best experience for the homeowners. One of the experiences that Chad treasures the most is talking with the homeowners after they have moved into their new homes – checking on how they are doing and learning about the new friendships they have made in the community. Chad resides in Licking County with his wife and two children. He keeps busy with coaching basketball, baseball and is involved with his church. He serves on the Buckeye Valley BIA Board and is the Secretary / Treasurer for the Licking County Leaders BNI Group. In his free time he enjoys relaxing with his family, reading and golfing.